Done. Finito. Kaput. 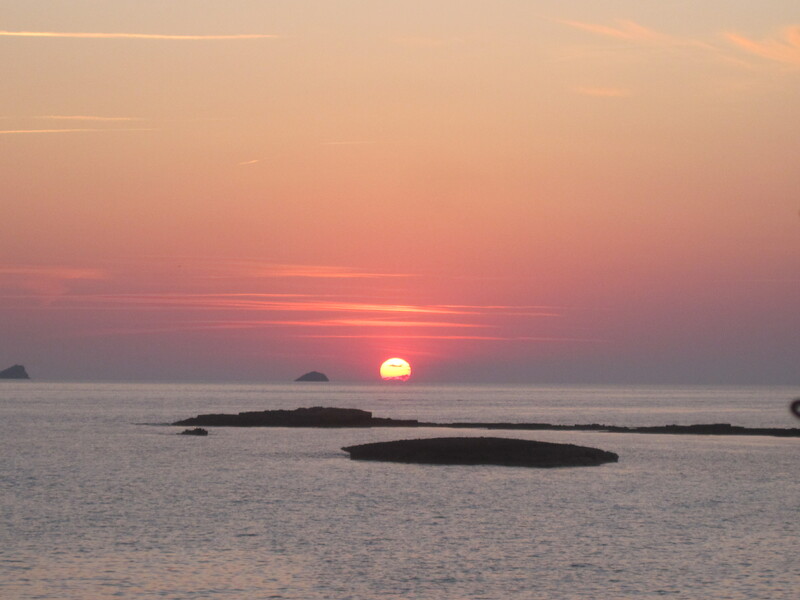 I originally had wanted to go out big for one more night in Ibiza, but I had hit my personal partying wall. Mission accomplished yes, but I was still going to be in Ibiza for a couple more days. 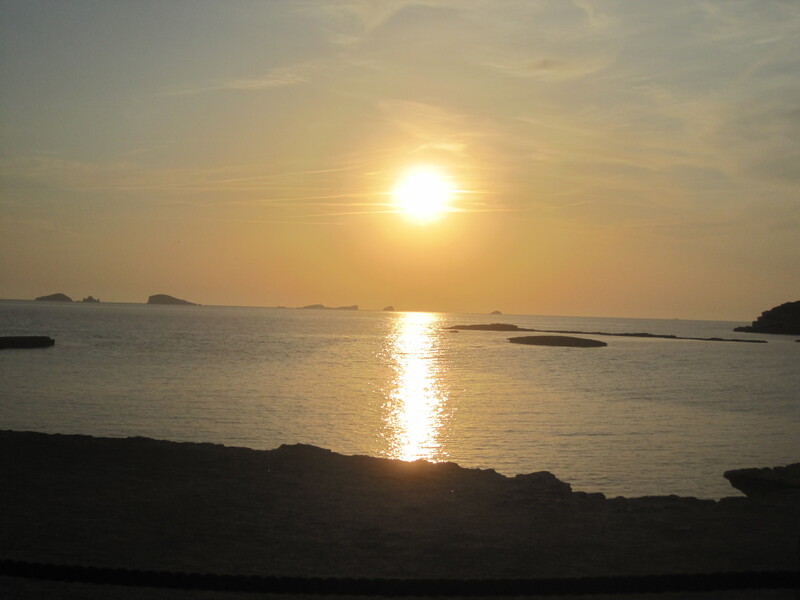 However, that’s one very lovely thing about Ibiza… when you’re done partying, you wake up and look around… and you’re still on an island in the middle of the Mediterranean. After sleeping in until about 3 PM on Monday, and then hitting the beach for a bit (and by hitting, I mean napping on), I met up with a lovely young German girl I had met out over the weekend. Conveniently enough for me (and my own lack of personal planning), not only was she also partied out, but she’s been coming to the island with her family since she was 5, and offered to show me a couple of cool spots. Life is good sometimes…really good. 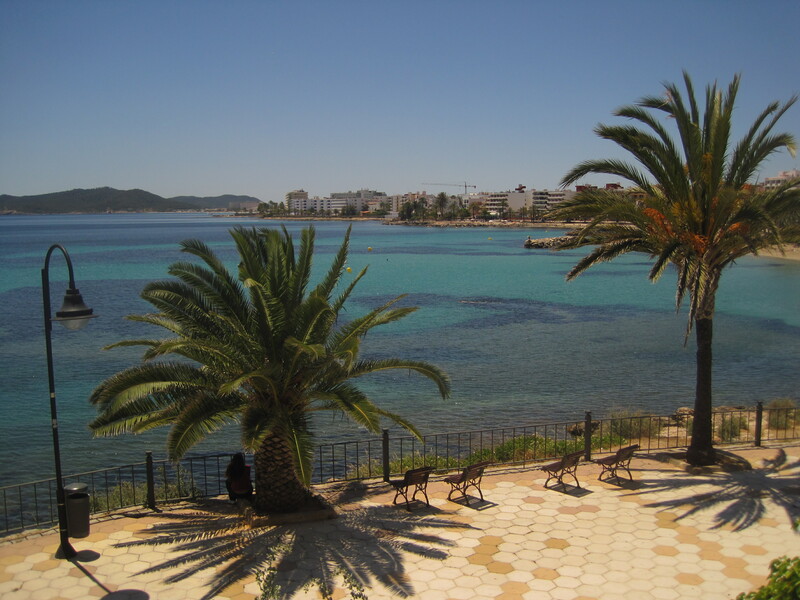 Figueritas Beach… a 10 minute walk from where I was staying. 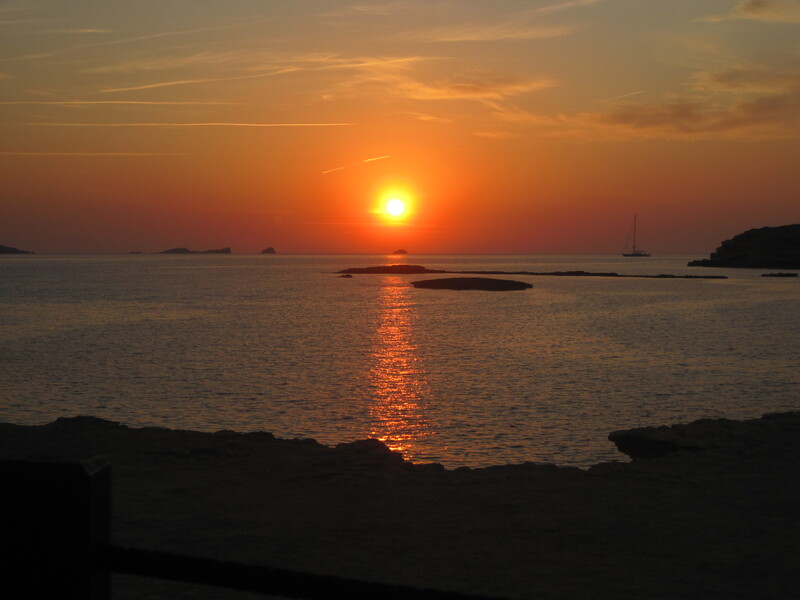 Playa d’en Bossa… where all the daytime/beach clubbing happens. 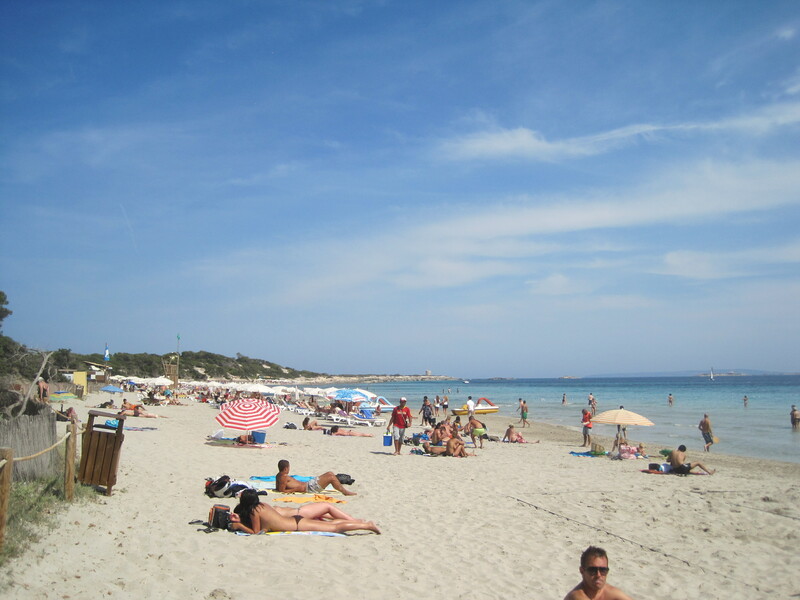 Salinas Beach… the most popular beach near Ibiza Town. 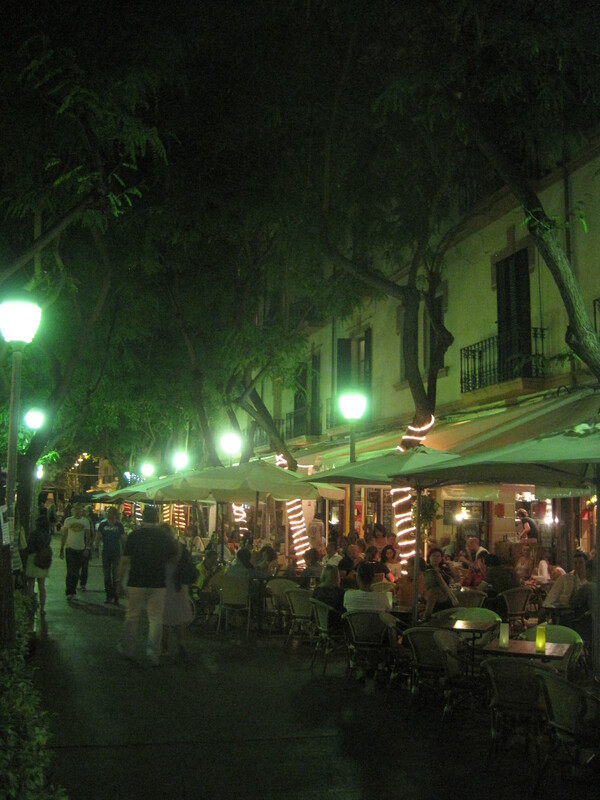 Cafes lining the main plaza of Ibiza Town. 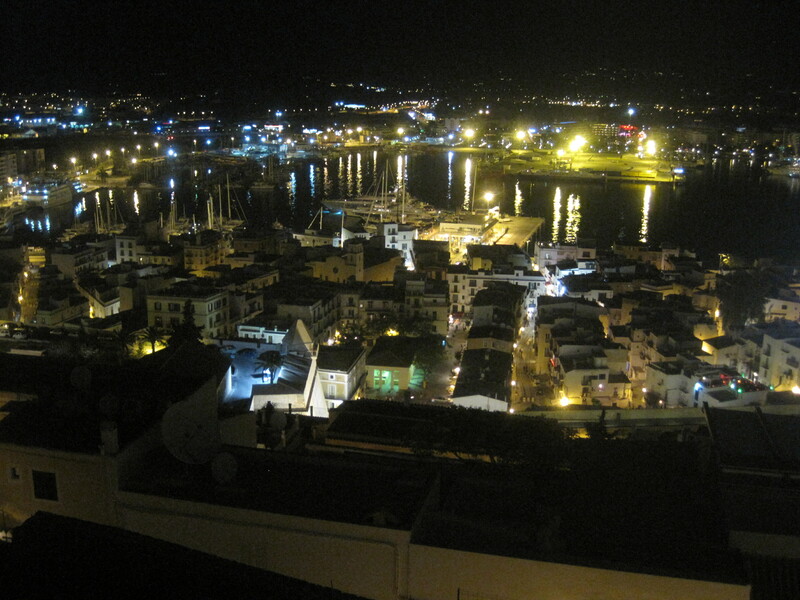 View of Ibiza Town from the castle on my last night. 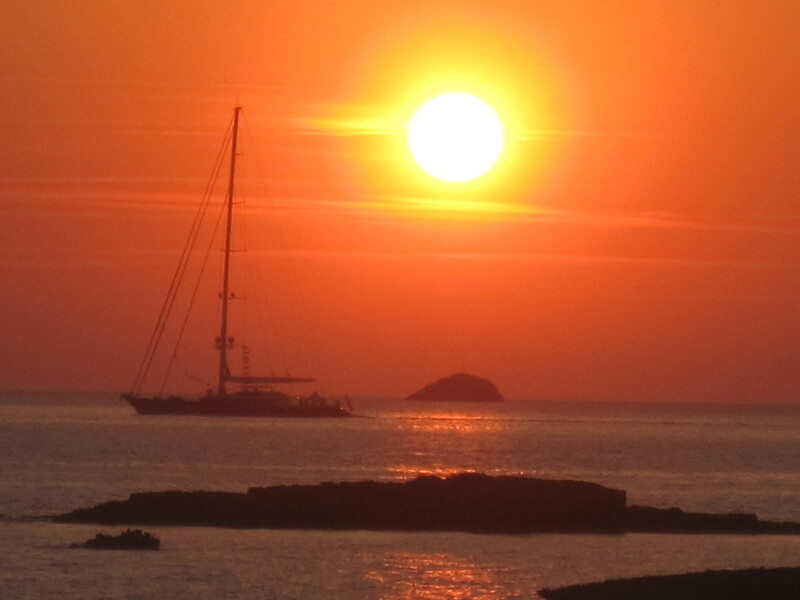 This entry was posted in Spain and tagged beaches, ibiza by Richard. Bookmark the permalink.